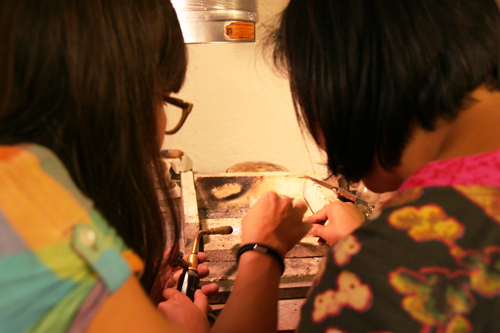 In Stockholm we took the opportunity to get ‘inside’ info and joined a Silversmith class. The students were a mix of beginners and more advanced students, so our workshop was very much a ‘learn as you go’ session and we all helped each other. 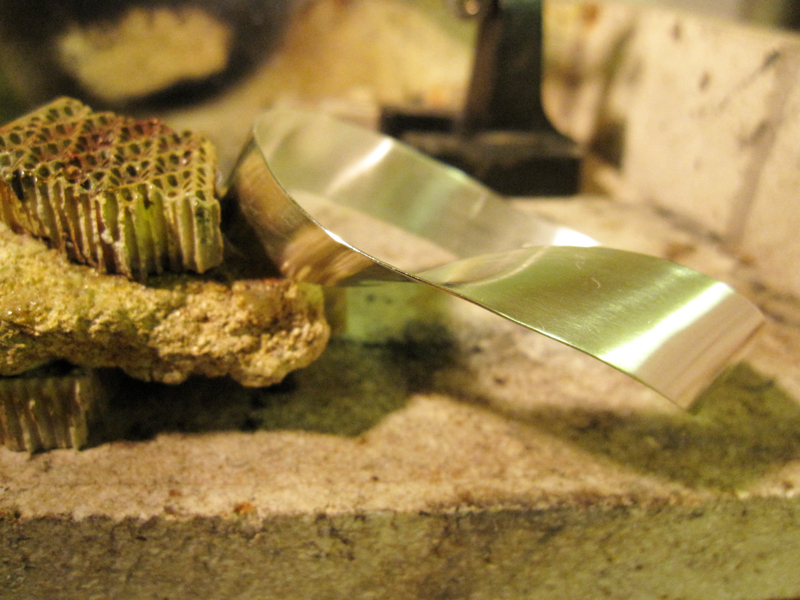 After hours of sawing, filing, soldering, polishing and engraving we got some beautiful results. Enjoy! Simplicity wins again. 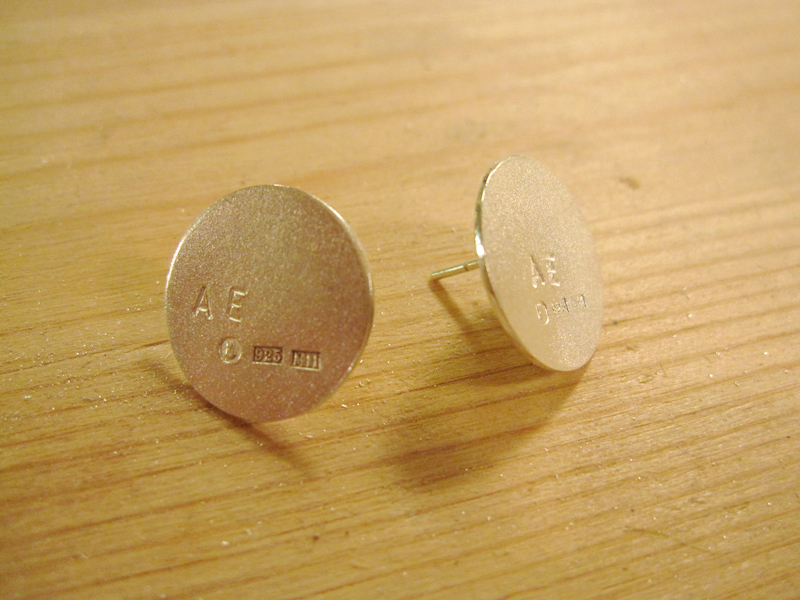 Initials engraved on a pair of Silver Studs. 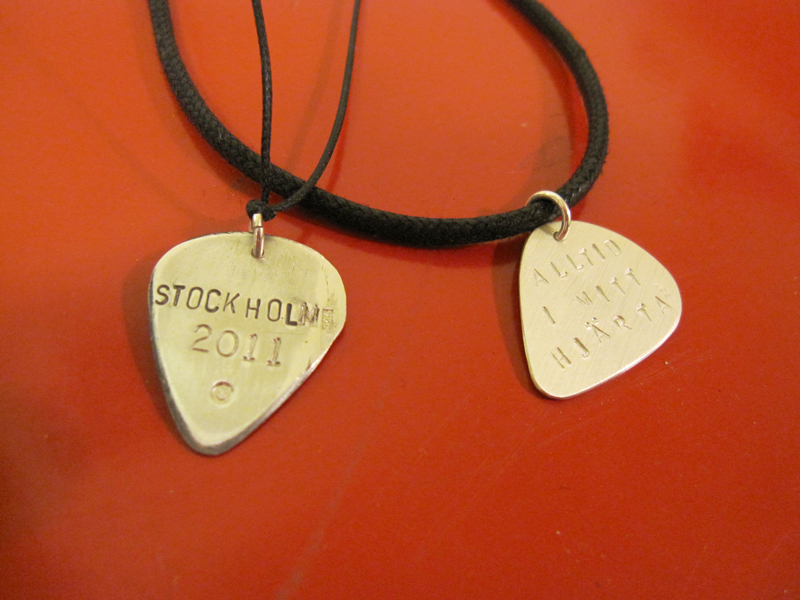 Rough finish on these Pendants for men with hand stamped engraving, inspired by guitar picks. 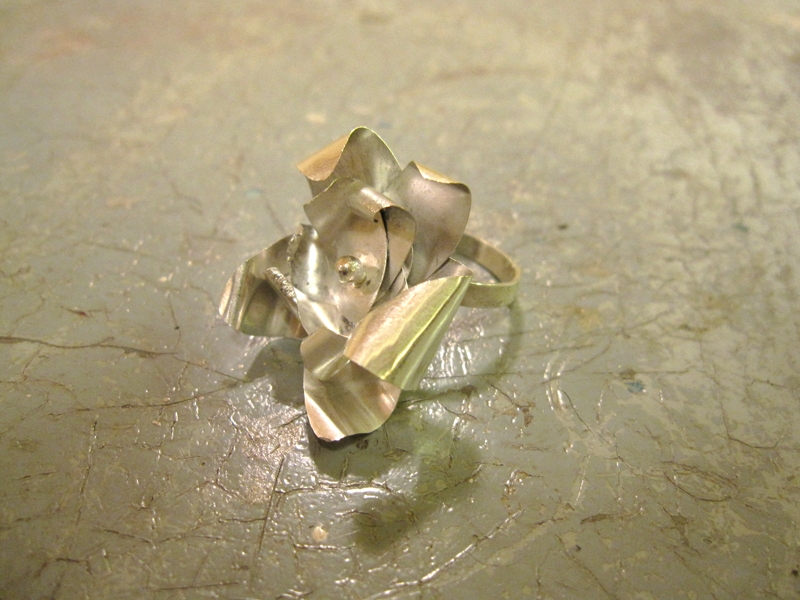 Flower Ring layered with thin sheets of Silver. Gorgeous twisted Silver bangle in Infinity design. More from Stockholm: Wedding Rings of the moment and Inspiration on the Go. how much for e workshop? ?